This recipe has a pumpkin pie taste with a little bit of a lighter texture. It’s easy to make, so it could be a good substitute for traditional pie. For the crust I used macadamia nut flour that I won in recipe contest from Cali Mac Nut Company. They don’t currently sell the flour, but you can get the nuts and grind them. It is very good. Of course regular almond flour can be used. Cooking times will vary depending on the size of the pumpkin. 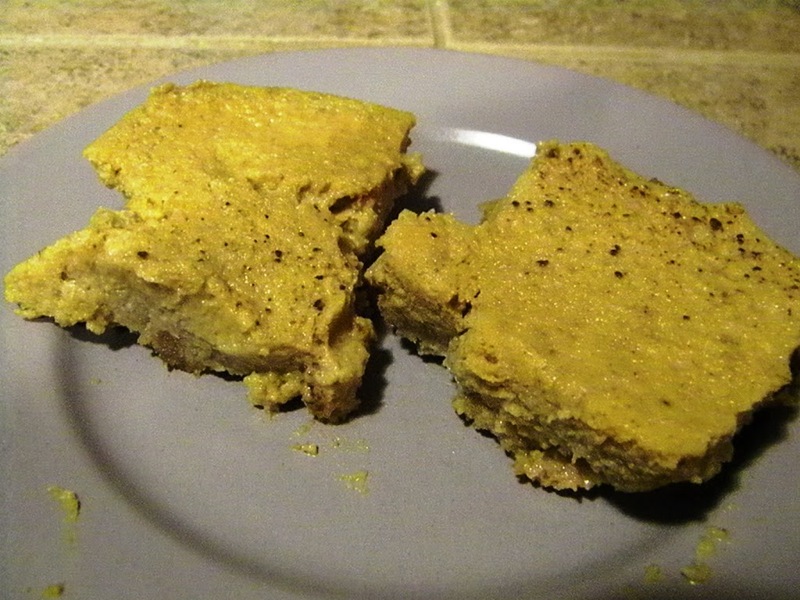 I used a small pumpkin – it yielded about 2 cups of cooked pumpkin. 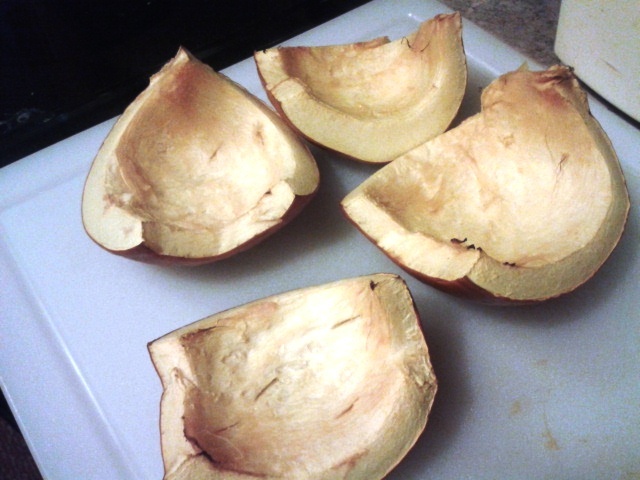 Slice pumpkin in 1/4ths – try to keep the pieces the same size so they cook evenly. Place on baking sheet – skin side down. Those sound totally delicious. I will be trying these out- maybe as a pumpkin pie alternative for Thanksgiving. Thanks for the comment Theresa! This was the first time I tried these and I liked them as much as the pumpkin pie recipes I have tried. They definitely make a good substitute – and the crust is so easy!